It’s been a week since TIDAL was accused of manipulated streaming numbers for its two biggest ever album releases – Beyoncé’s Lemonade and Kanye West’s The Life Of Pablo – to the tune of hundreds of millions of plays. Norwegian financial newspaper Dagens Næringsliv printed the story after a year-long investigation, backed up by forensic analysis of a hard drive which it said contained ‘billions of rows of [internal TIDAL data]: times and song titles, user IDs and country codes’. TIDAL later dismissed the story, accusing DN of a “smear campaign” against its company – while commenting that the information which sparked the report was “stolen and manipulated” and that it “will fight these claims vigorously”. It’s been reported that TIDAL reduced its recorded music royalty payout in April last year from a 62.5% share of its revenue to 55%. Crucially, says DN, it did so without consulting rights-holders or PROs. The 55% revenue payout share would be in line with new deals agreed by the major music companies and Merlin with Spotify around this time. DN cites TIDAL royalty documents sent to the major labels (pictured main) as evidence, one of which – from July 2017 – you can see in detail through here. And today, fresh revelations from Dagens Næringsliv suggest that TIDAL is significantly behind with its royalty payments to music industry rights-holders. Propellor receives streaming payouts via Phonofile / The Orchard, and it is claimed that these payments should occur monthly. 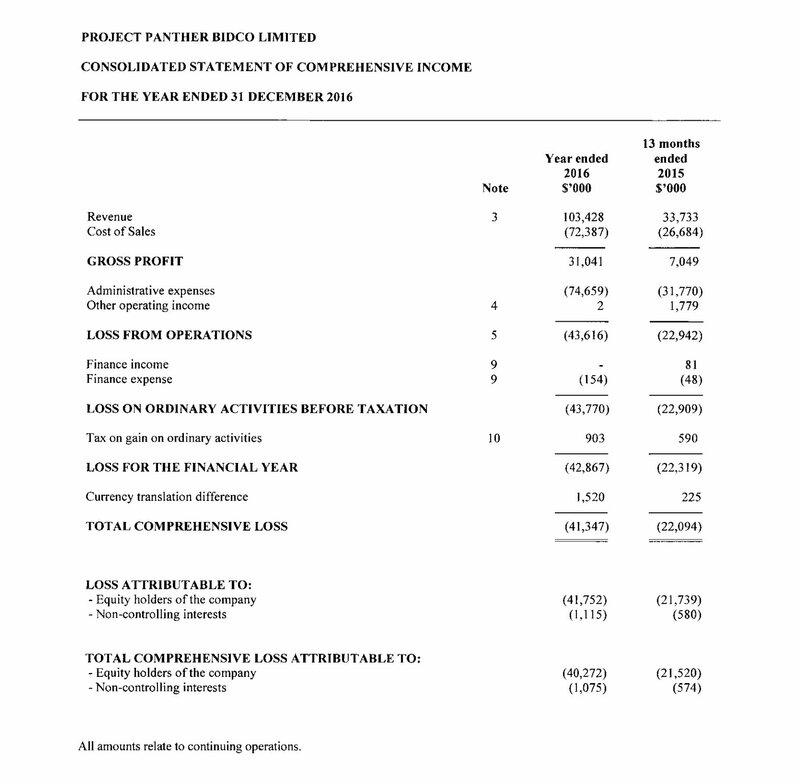 The last public accounts for TIDAL’s parent company, Project Panther Bidco Ltd, show that the firm lost $42.9m in 2016 (see below). Last year, however, TIDAL sold a 33% stake in its business to US telco Sprint for approximately $200m.